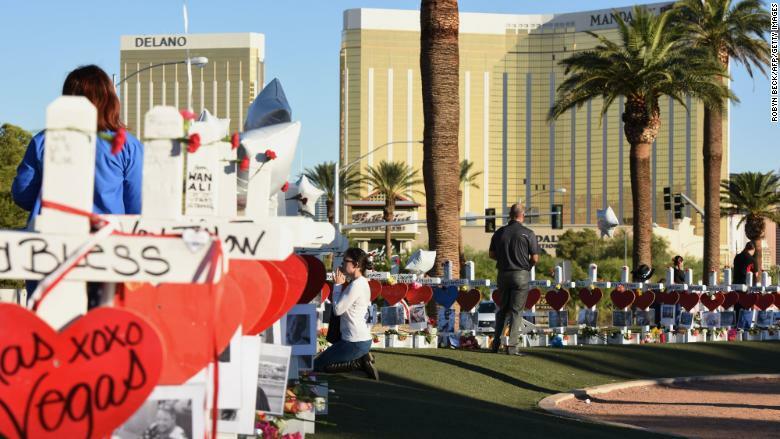 It has been one year since the deadliest single-day mass shooting in modern US history, the concert massacre in Las Vegas. There's going to be a sunrise remembrance ceremony hosted by local officials on Monday morning, including 58 seconds of silence. Per Kurt Bardella in the Morning Hangover, "the country music community will observe a 58-second moment of silence" on Monday morning. Rolling Stone says radio stations and other outlets will pause just after 10 a.m. PT Monday. MSNBC was televising the Global Citizen Festival in NYC when a fence barrier collapsed, startling the crowd with a loud noise. Some people thought it was gunshots, and there was a stampede. MSNBC cut to a wide shot of the crowd, then to commercials, before coming back and explaining what had happened.Chris Hayes and co. reassured the audience that there was no shooting. Las Vegas Review-Journal alum Steph Grimes was there... "I really did think I heard gunshots," she tweeted, "and everyone was running and yelling about shots so we ran. It really says something pathetic about our country that we immediately think 'shooting' when we hear something loud." -- Michael Barbaro's Sunday night tease: "A powerful two-part episode of the Daily in the works for tomorrow..."